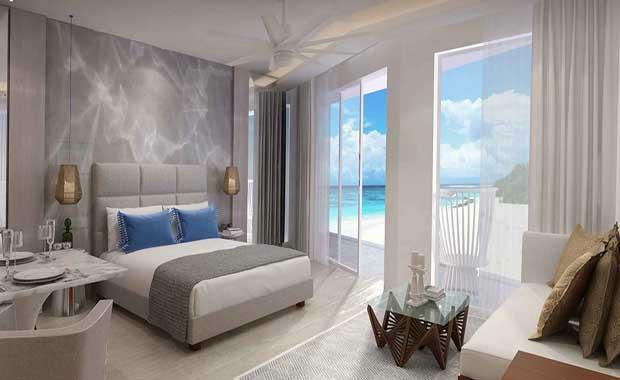 YOO Hotels & Resorts, operator of Aqua Boracay by YOO, recently confirmed the Winter 2015 opening of the first branded residential property on the Philippines’ Boracay Island. Comprising 168 units, suites with terraces, and penthouses, the luxury beachfront property designed by United Kingdom-based YOO Studio is located on Asia’s most famous kite surfing destination, Bulabog Beach, which is a short walking distance from popular tourist destination White Beach. Amenities at the five-star property, which was named one of Asia’s Best Resort Residences in 2014, include a swimming pool area with a lap pool, adult pool, children’s pool and pool spa, a 300 square metre day spa, a yoga studio, a health club and 24-hour concierge. A specialty restaurant serving local and international cuisine is also on the property. Mark Davison, design director at YOO Studio, said in a statement,“Aqua Boracay by YOO embodies our philosophy that design enhances the wellbeing and comfort of guests and is not an end in itself." “Our concept is borne from the unique energy and natural beauty of the Island, with a palette of warm, natural and clean finishes that perfectly complement the simple, tranquil and laid-back Boracay experience,” Mr Davison said. Marco Nijhof, chief executive of YOO Hotels & Resorts, said Boracay island, one the Philippines most-prized tourist destinations, was the perfect location for the YOO resort residence. “[Our] holistic, design-led philosophy and seamless service approach will bring a totally different lifestyle concept to Boracay, unlike anything else in the Philippines,” Mr Nijhof said.